Last weekend I got together with some of my blogging friends for the second Better Blog Retreat. 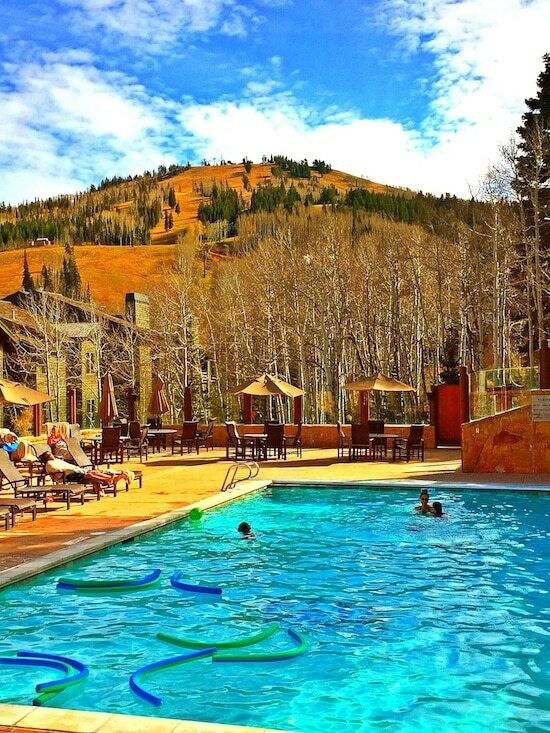 This year the event took place at Deer Valley Resort in Park City, Utah. I am lucky I only had to drive 30 minutes to attend! 🙂 Deer Valley graciously hosted us for the weekend and we had the BEST time…and the best weather. Look at those trees! 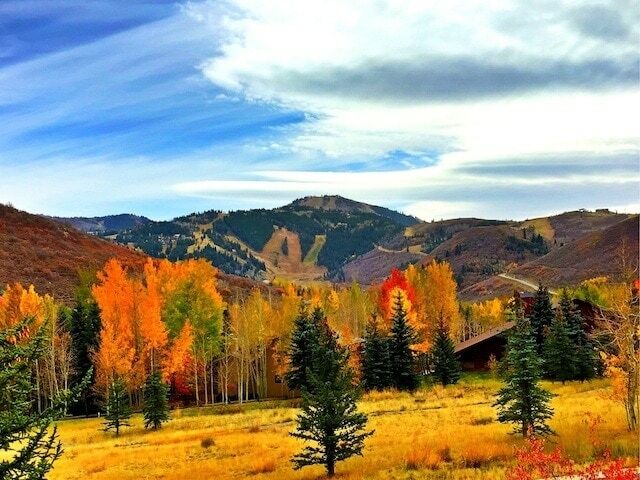 I am so glad everyone got to experience fall in Utah. This was the view from our house! Pretty nice, huh? 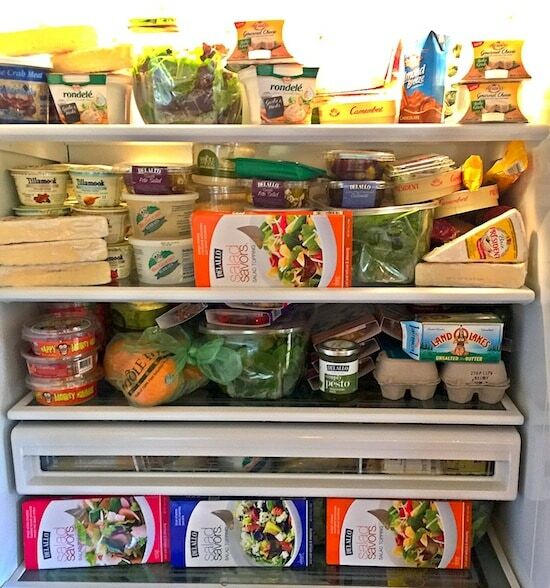 Our fridge was stocked with food for the weekend. We did a lot of eating, you may have noticed if you follow me on Instagram! 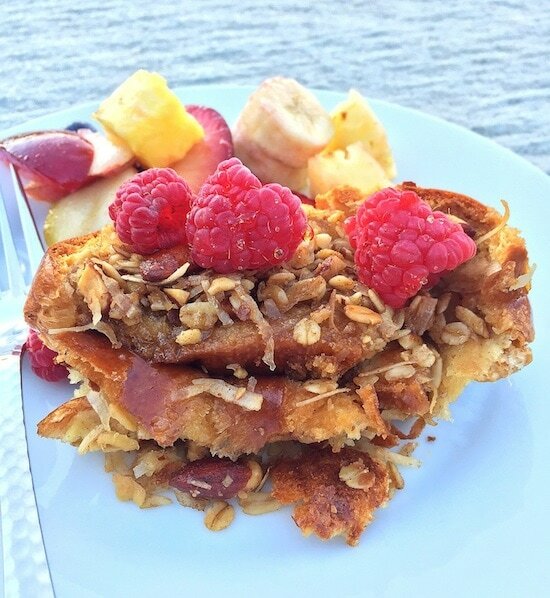 Good food is a must with a group of food bloggers, but we did more than just eat! We spent the weekend discussing, brainstorming, learning, sharing, laughing, and encouraging each other. 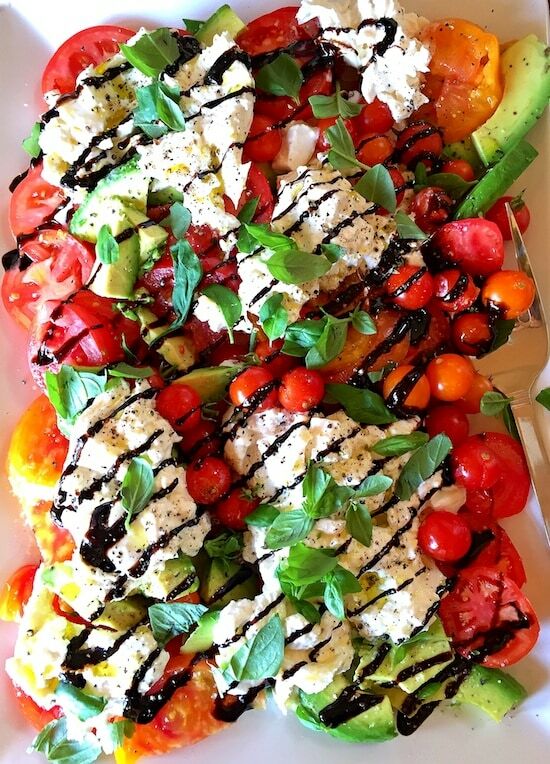 Let’s talk about some of the food…look at this gorgeous salad that Heidi made for everyone! 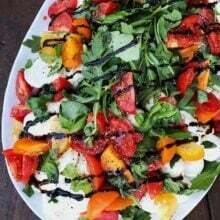 It had all of my favorite things: burrata, tomatoes, avocado, basil, and DeLallo’s olive oil and balsamic glaze! SO good! After everyone arrived, we went to dinner at Riverhorse on Main in downtown Park City. It is one of my favorite Park City restaurants. The atmosphere, food, and service is amazing! 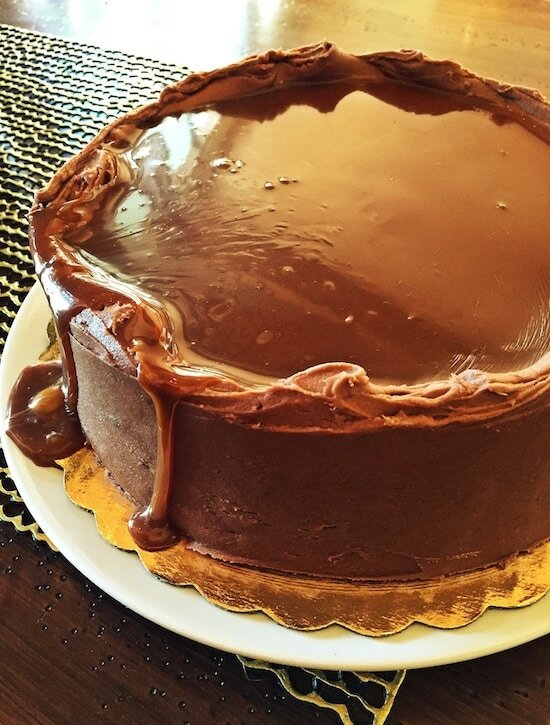 Look at this gorgeous Chocolate Salted Caramel Cake from Whole Foods Utah. You better believe I ate my entire piece! That drippy salted caramel was to die for! Tillamook also spoiled us with an ice cream bar! 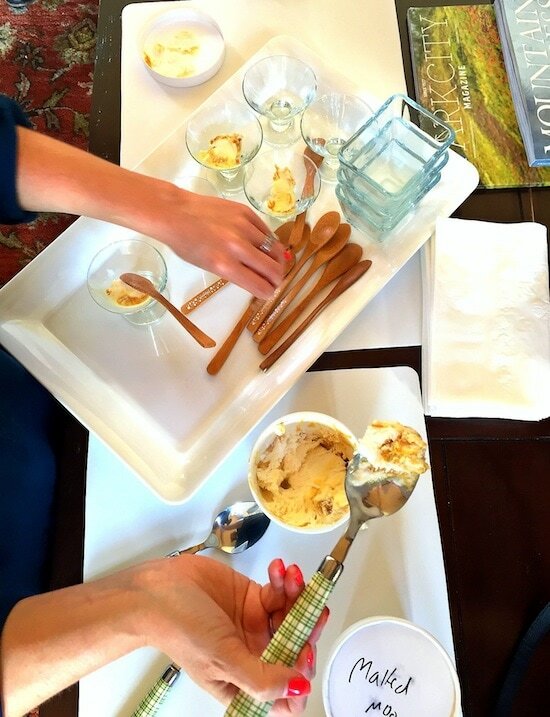 Yes, there is always room for more dessert:) We got to try a few of their new flavors! Get ready because they are all winners! 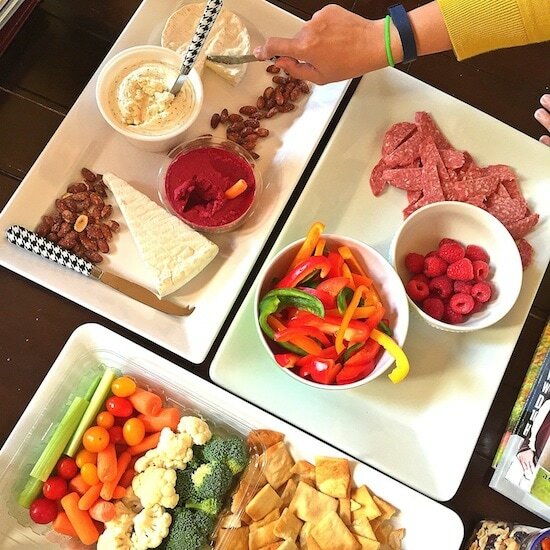 After our walk we were ready for more food:) Loved the gorgeous tablescape from Minted! 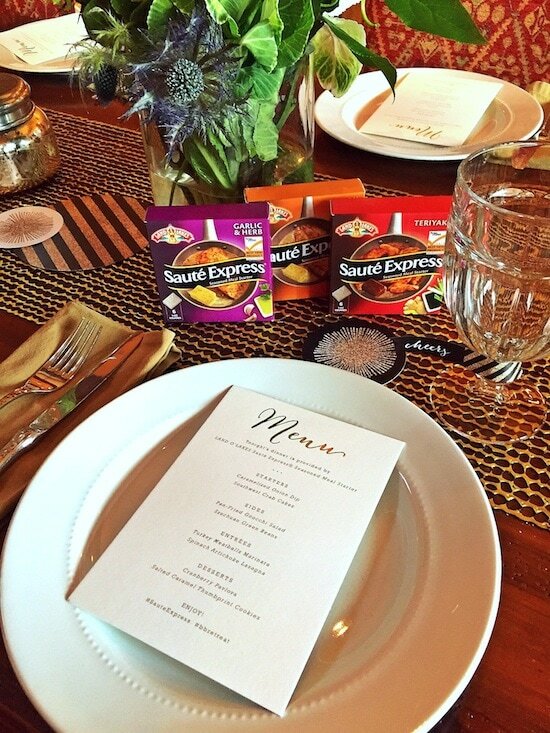 Land O’ Lakes made us a special dinner featuring Sauté Express. The entire meal was fabulous! 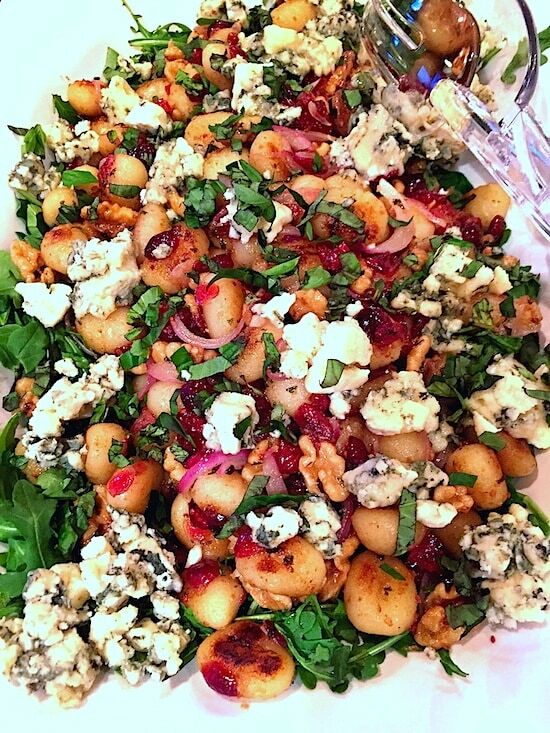 I can’t stop thinking about the gnocchi salad! I am going to be making this salad at home! 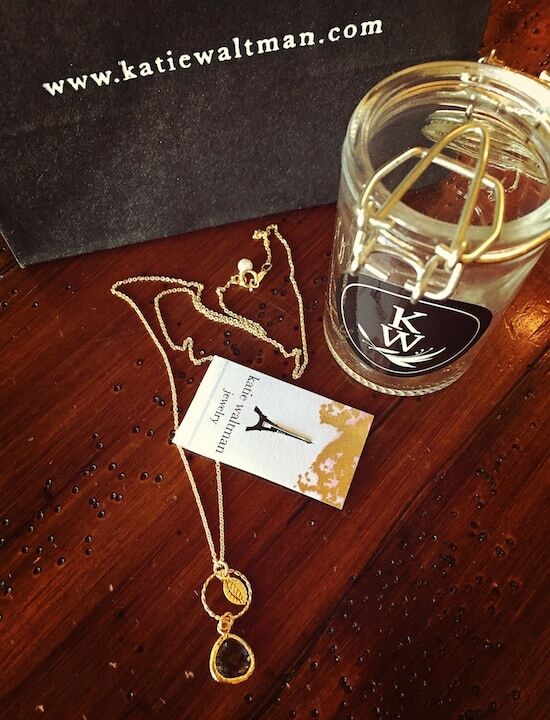 We also made customized necklaces with Katie Waltman! Katie’s jewelry is my favorite! Josh knows he can always make me happy with a gift from Katie:) I loved creating my own necklace! What do you think? Did I do ok? 🙂 I love it! We ate lunch at Deer Valley Grocery Cafe. I ordered the Three Cheese Grilled Cheese. 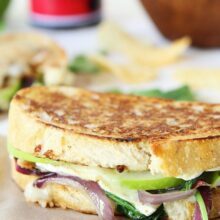 It had a fig spread, caramelized onions, apple, and arugula. I have to recreate this one. We spent an afternoon at The Spa at Stein Erikson Lodge. I enjoyed an hour massage and it was HEAVENLY! Just what this mama needed! The following bloggers attended the retreat: Skinnytaste, Gimme Some Oven, Cookies and Cups, Mountain Mama Cooks, A Southern Fairytale, A Spicy Perspective, Love and Olive Oil, Foodie Crush, Reluctant Entertainer, Picky Palate, The Little Kitchen, Cookin’ Canuck, and Kevin and Amanda. Love all of these girls! Such a talented group of women! 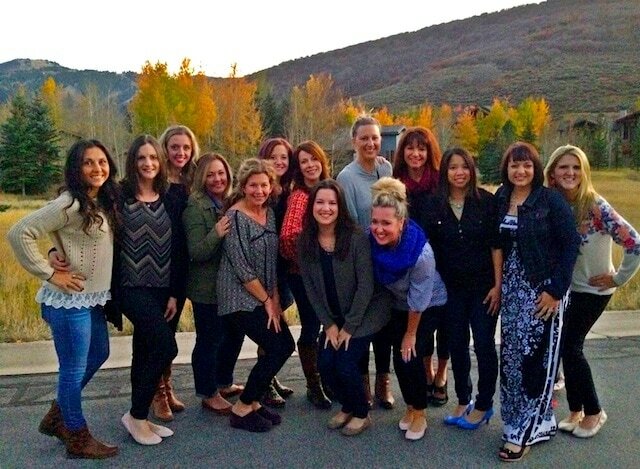 Our final dinner was at Deer Valley’s new restaurant, The Brass Tag. 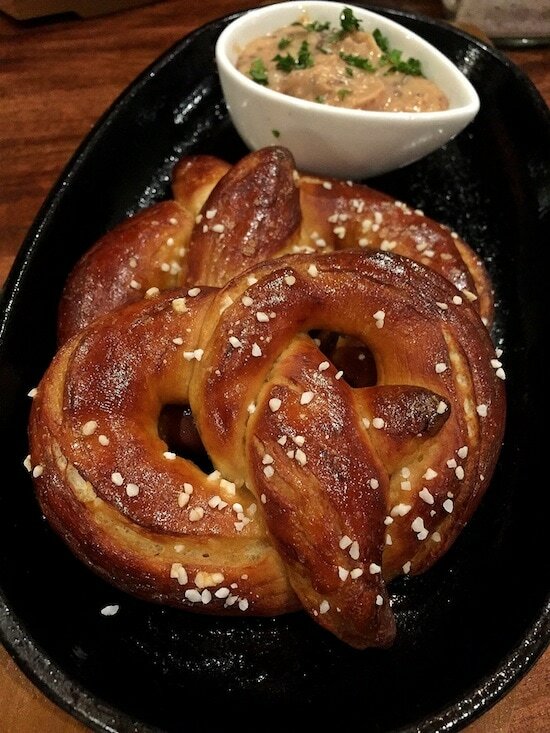 When the meal starts with a soft pretzel you know it’s going to be good! Oh, and the pretzel came with a browned butter dipping sauce…even better! We enjoyed a 15-course meal! I was blown away by everything they brought out! All of the food is made in a brick oven! So fun! Of course, I saved room for dessert. 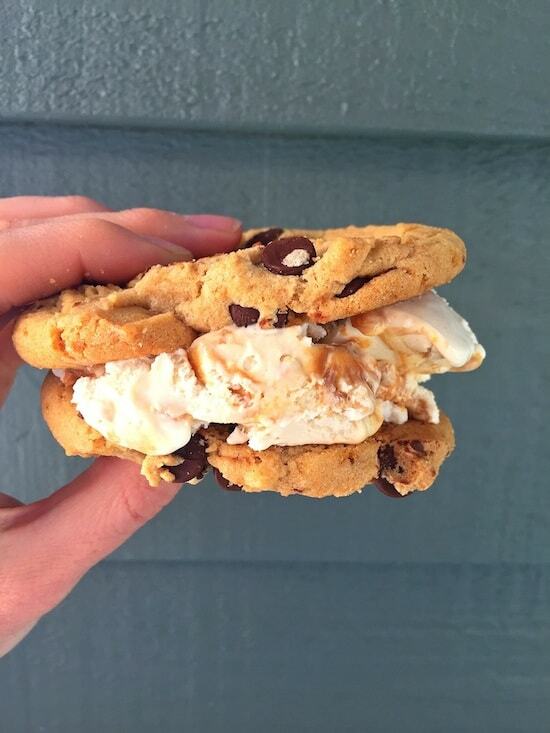 I can never pass up a warm chocolate chip cookie with gelato! 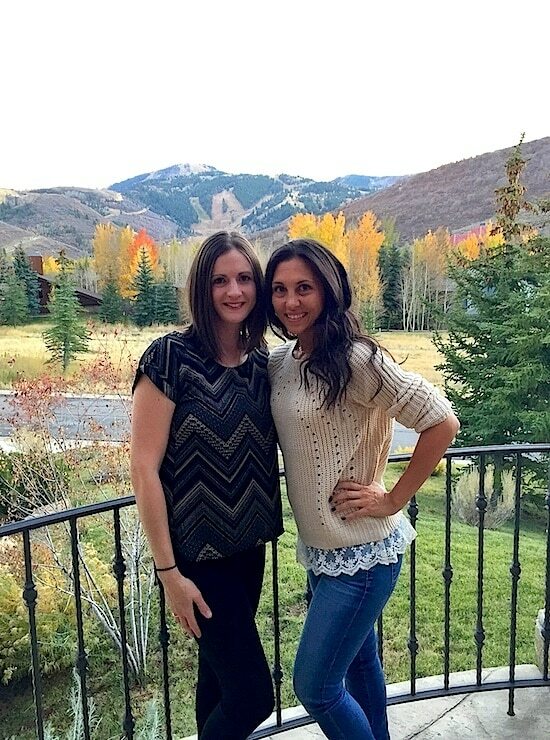 Those are just a few snippets and photos from the Better Blog Retreat. I know I talked a lot about the food, but the weekend was SO much more than that! I always love getting together with my blogging friends. I spend almost every day working in my pj’s at my computer. I feel blessed that I can work from home with my boys, but sometimes it gets lonely! I love connecting with my friends in person! I am fortunate to be part of such a wonderful community. I was really inspired by one of our speakers, Courtney from Be More With Less. Check out her site. She is amazing! I have a page of notes, quotes, and things I want to work on…and things I don’t want to do! Courtney reminded me that it’s ok to say no. I am all about simplifying lately and I am content with the way things are. I don’t have to do it all! There is always more to do, but I don’t need to do them right now and I am ok with that! I left the retreat feeling motivated and inspired to keep doing my best as a blogger, mother, wife, and person! It was just the weekend I needed! 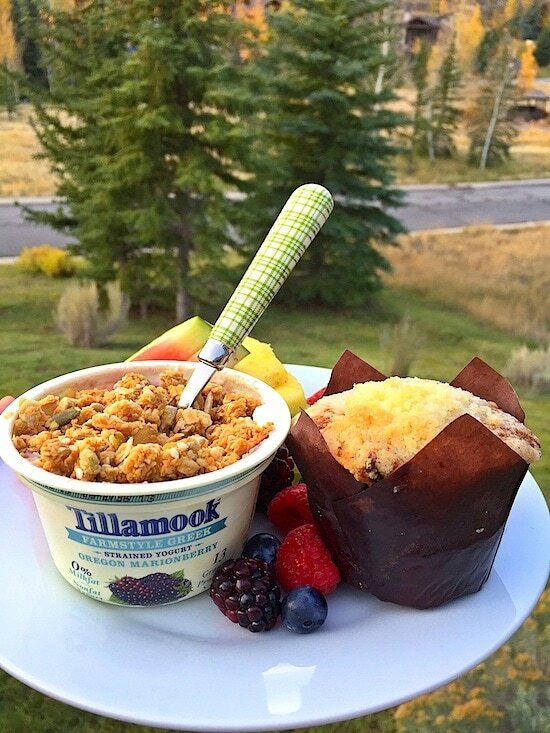 A huge thanks to the following sponsors who made the Better Blog Retreat possible and SO much fun! Deer Valley Resort, Land O Lakes Sauté Express, Blue Diamond, Almond Breeze, DeLallo, Tillamook, President Cheese, Whole Foods Utah, Minted, QSquared, Katie Waltman, Albion Fit, The Spa at Stein Erikson Lodge and Riverhorse on Main. The scenery is great. The food photos are great. 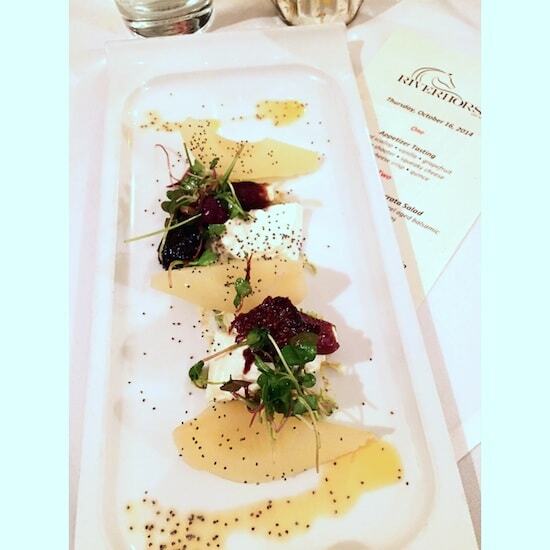 I swooned over that first salad, thinking at first that it was a dessert. When I calmed down I read that it was a salad, so I could eat it all day. I’m as envious as I can be. It looks like a great getaway and I may need to start a food blog so I can go to the next big event. 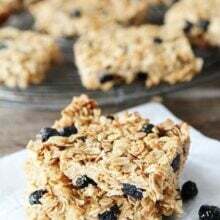 Can’t wait for you to start recreating some of those gorgeous recipes . . . 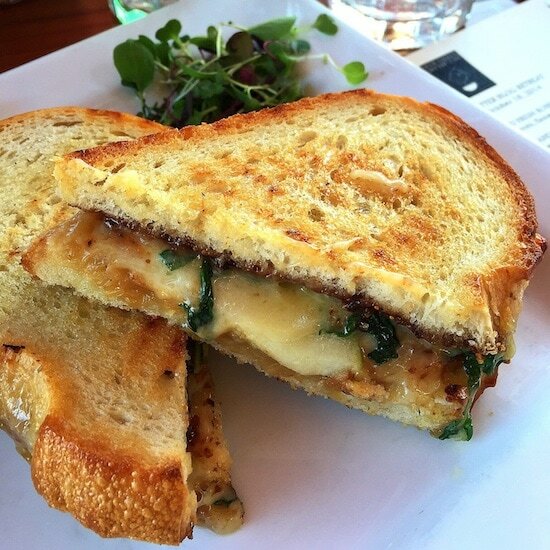 The Three Cheese Grilled Cheese at Deer Valley Grocery Café looks and sounds divine!! Which three cheeses did they use?? Sounds like such a fun weekend! And tons of great food. This retreat looks like so much fun!! 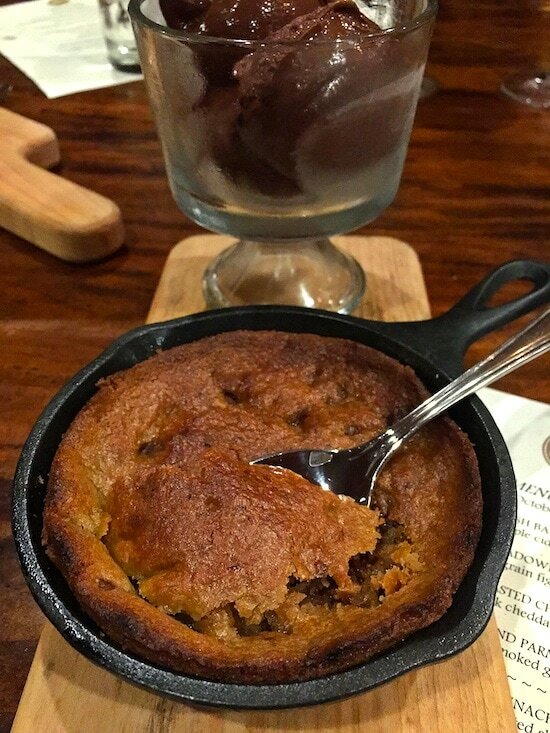 The cookie in a skillet looks HEAVENLY!! Every single bit of it was amazing. Loved getting time with all of you amazing women, and getting baby cuddles, too. 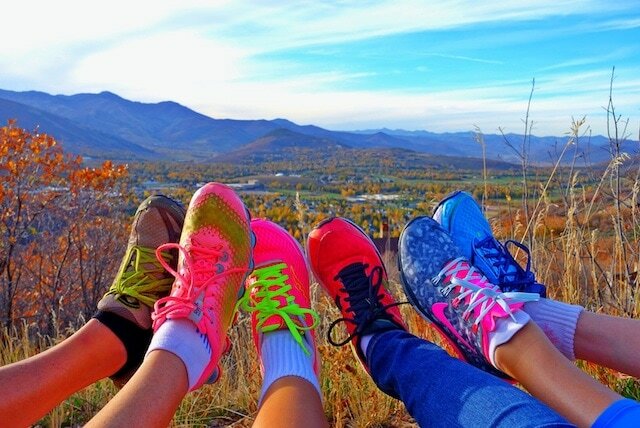 This looks like such an amazing time and those views are priceless! Your simple reference to “Be More with Less,” got me looking at Courtney’s website, and it is just what I need right now. Serendipity! It really lifted my spirits today. Also, am glad you got a chance to have a renewing weekend and get that massage! Thank you. I had so much fun following your trip via SM! You gals all look amazing and you especially look great for just having a baby, Mama!!! Seriously love IG just for the fact that the rest of us could follow along! The trip looked pretty much awesome, so thanks for giving a little more details on the days! Keep up the great work girl because you are doing your own kind of inspiring for lots of us other food bloggers too. It sounds like it was an amazing time! I wish I could have met you last weekend, but hope that we can meet some point soon (this next year? crossing my fingers!). It is so wonderful to meet with other bloggers, connect, inspire, and encourage each other! I need to do it more often! A very belated thank you. Thank you for all that you did and thank you for inviting me. I had a blast and learned so much and agree about Courtney!